Fresh off international week, the team look back at the last tournament of the decade France 98. Ash is joined by editor of the Non-League Daily and Newcastle fan Mark Curruthers, author, writer and Leicester fan Roger Domeneghetti, and Man Utd supporter Mike Pieri from the Shoot The Defence Podcast. They guys chat through England’s and Scotland’s tournament, Ronaldo, Zidane and the Mexican bunny-hop, plus there’s a natter on the phone with former South Africa striker Shaun Bartlett. 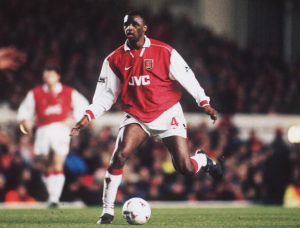 Following on from our strikers show and post, on this weeks pod the team discussed the best midfielders of the 90s ahead of the ‘Team of the 90s’ pod on 21 December. Links can be found at the bottom of the page, so have a listen before we talk defenders and goalkeepers over the next two AK90s shows. There is no footballer who has spanned as many decades as Ryan Giggs. The man is a one-off, the most decorated British player of all time, and it all began in the 1990s. 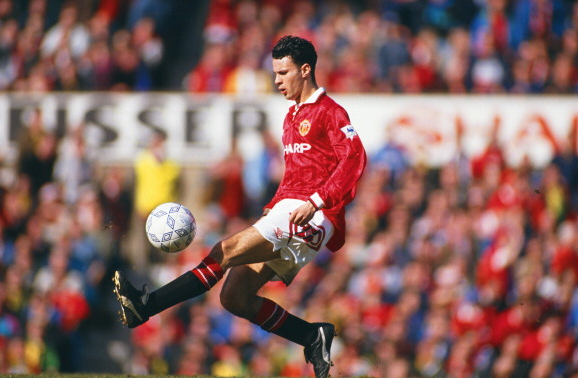 The Giggs of the 90s was perhaps the most exciting and flamboyant version of the Welshman we saw, as a fresh-faced out-and-out winger who became football’s first mainstream superstar. Giggsy was one of those players that lifted you out of your seat as soon as he got the ball, his quick feet, raw pace and ability to shame defenders in one movement saw him as integral part of Manchester United’s dominance throughout the decade, topped off by THAT goal in the 1999 FA Cup Semi Final. The heartbeat of Manchester United throughout the decade, Keane was the man every team wanted to have in their team when they went into battle. 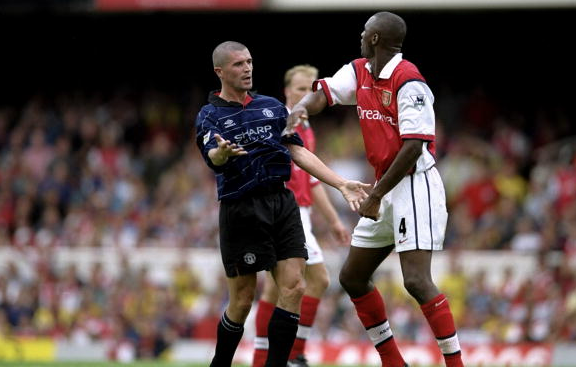 Keano began the decade as more an attacking midfielder with Nottingham Forest before his then record transfer to Old Trafford saw a more rounded midfielder emerge. As a driving force through the middle, Keane could do it all and his performance in Turin during United’s Champions League semi-final of 99 was one the 90s finest individual performances. The less said about Alfe-Inge Haaland the better though – oh and prawn sandwiches. A once in a lifetime player who by the end of his career was been spoken about in the same breath as the likes of Pele, Maradona and Cruyff. A footballer of pure elegance who used to glide around a football pitch, while the ball just stuck to his mercurial adidas Predators. At France 98 he quite literally led the hosts to the final (minus the suspension for the mean streak that would rear it’s head on the most public of occasions), scoring two goals in the memorable win over Brazil in the final. His vision, his touch and his ability to score vital and often sensational goals, makes him not just one of 90s best, but one of the very best ever. Becks may only really have made his name at the back end of the decade, but as we’ve learnt with him subsequently he knows how to do just that. 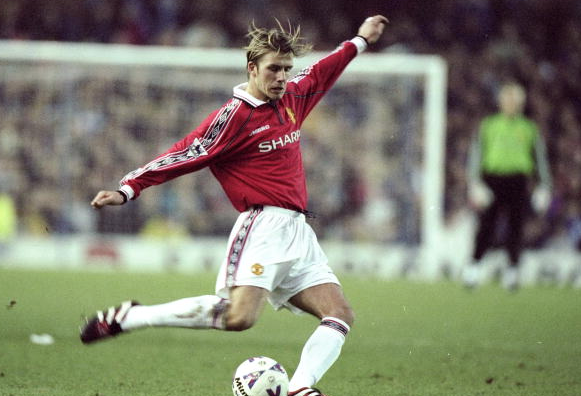 It was the opening day of the 1996-97 season that Beckham announced his real arrival, with his halfway-line strike against Wimbledon and the fairytale career bloomed from there. As Cantona left, Becks became United’s new number seven and a key component in the great late nineties side that ultimately ended in treble glory. A crosser of the ball like no other before or since, even his infamous red card at France 98 can’t take away the impact on and off (Posh and Becks were born in 1998) the pitch David Beckham had in the latter part of the 1990s. As we’ve said quite regularly on the podcast, Paul Gascoigne pretty much was the 1990s in football. From the moment he Cruyff-turned the Dutch defence at Italia 90, through injuries, Colin Hendry flicks, and spells in Italy and Scotland, the decade was dominated by Gazza. And rightfully so too, as behind the controversy was one of England’s greatest ever footballers. 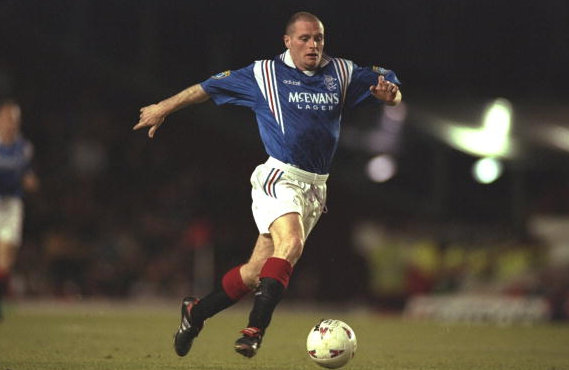 For a man of his stocky build, Gazza was so nimble, so quick and had the ability to bamboozle defenders on a football pitch like no other. He may have been ‘daft as a brush’, but between the burping at reporters and Fog on the Tyne was moments that have gone down in football folklore. Ask any fellow pro who’s played with him, and tell you the same thing; he’s the best they’ve ever shared a pitch with. Perhaps the biggest compliment of all. Perhaps a surprise name on this list, but Ginola has become a symbol of the changing face of football throughout the 1990s. 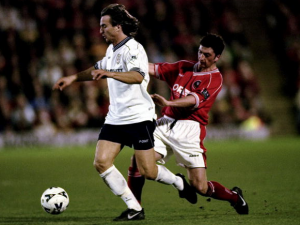 As the Premier League opened its doors to an influx of foreign names throughout the decade, David Ginola was easily one the most successful. As part of Newcastle’s irresistibly entertaining side under Kevin Keegan, Ginola went within a whisker of becoming a title winner, before moving to White Hart Lane in 1997. Here, he formed an unlikely alliance with George Graham and became the new darling of the Lane, with his undoubted charisma and skill lighting-up North London and winning him the 1999 PFA Player of the Year award ahead of United’s treble heroes. 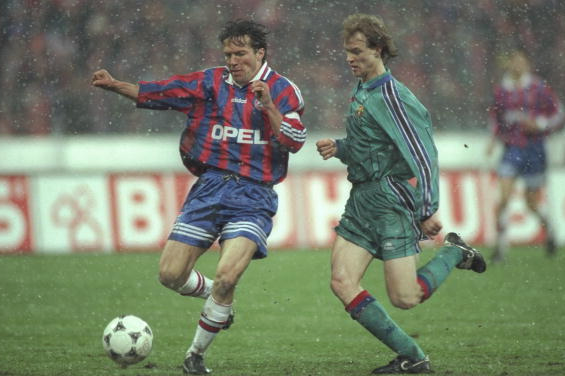 Maybe not as highly regarded in this country, due to him never playing in England and the rarity of foreign coverage in the early 90s, but there’s no doubting what a world-class footballer Matthaus was. 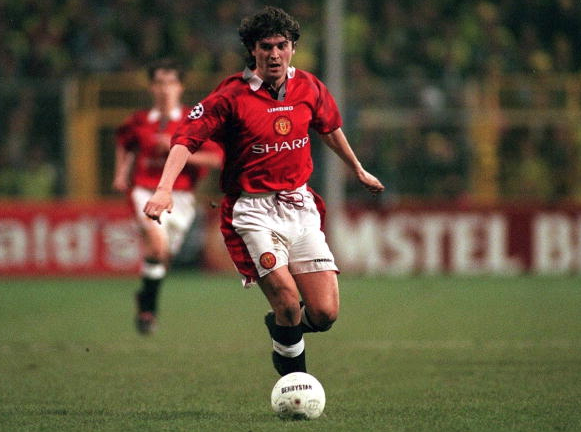 A real leader, who did the simple things in midfield, but was also capable of scoring some outstanding goals. The decade saw him captain his country to World Cup glory in 1990, as well as a glut of trophies for Inter Milan and Bayern Munich. He would finish his career with 150 caps for his country, and as one of Germany’s best ever players. To listen to Ash Rose and guests Sachin Nakrani, Andy Rockall and Josh Landy talk through the decades best midfielders, you can subscribe to the pod on iTunes or listen here. Don’t forget you have your say on Twitter to, tell us who you would have up front in your dream 90s XI.